This stunning piece of furniture is imported directly from Italy. 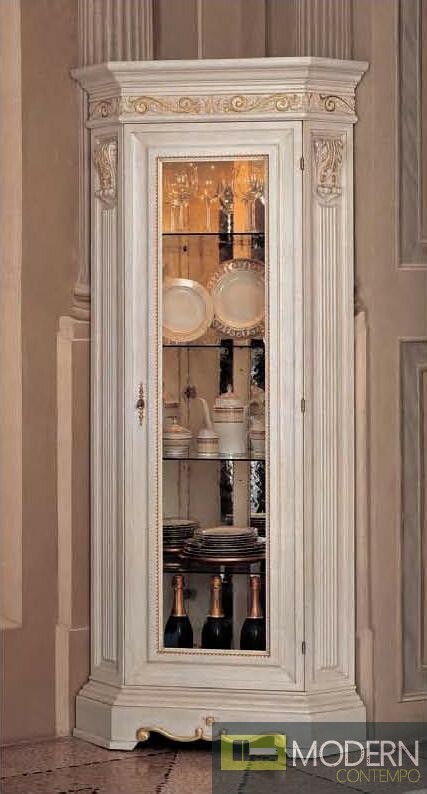 The display case would be perfect for any dining area, giving the perfect opportunity to show off your china and glassware. The unit is constructed entirely of hardwood, given a smooth, opaque, off white finish. The lone door has thick, glass panel insert. W35.4" x D23.6" x H79.9"